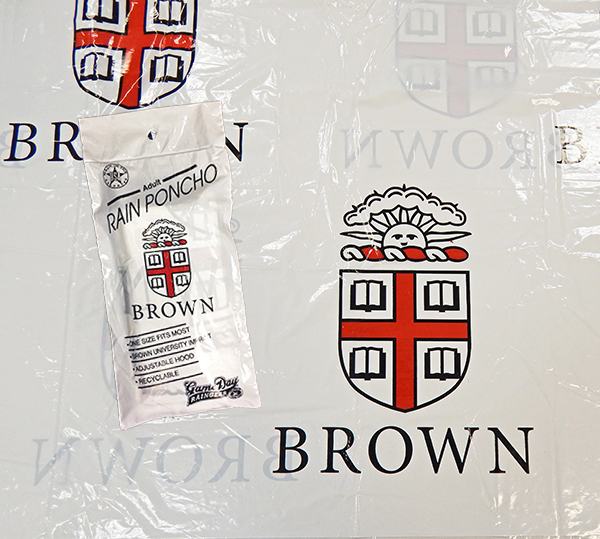 Storm Duds Game Day white rain poncho with pattern of cardinal and black Seal above 'BROWN' in black on front and back. 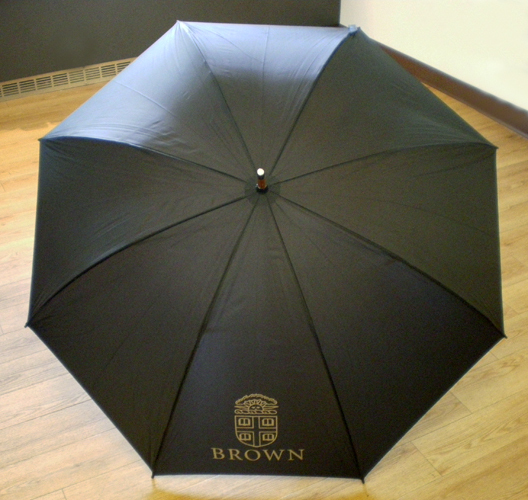 Storm Duds black golf umbrella with Seal and 'BROWN' imprinted on one panel. Umbrella has wooden shaft and handle with 62" coverage area. 62" auto-open square vented black and white golf umbrella with oversized panels and a soft-sure grip handle, opens at the touch of a button. Cardinal and black Seal above 'BROWN' imprinted in black on one panel.